“I wish the writers would bring Chuck back” is not a phrase uttered by any sensible person, ever. Chuck the deity has called in Metatron, his old scribe to help him edit his autobiography – one that is surprisingly… boring. God is many things, writer is not one of them, especially since his new autobiography focuses far too much on his mundane life as Chuck the human – which no-one cares about – rather than big godly revelations. 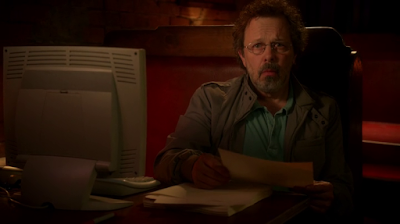 Metatron continually pushes him for more information, more revelations, more emotions – and we get a lot. He has issues with his sister and it’s clearly a very touchy subject that goes deeper than he what he reveals (there’s a level of resentment and even jealousy there) but hinges on them being such utterly different people. He is Being. She is Nothing. He describes the act of creation as both a way to stop being lonely but also a way to desperately show her that there is something in creation, that creation is good. Basically, the act of creation is his way to try and reach his sister across a huge gulf of misunderstanding. And each time she destroyed his creation. Yes this is not the first apocalypse – right until god and the archangels locked her up to stop her breaking his toys. Of course, part of the implication of this is that Dean may actually be the creation that finally gets through to Amarra since she seems to value him. Not humanity. Humanity is Disappointment. Despite him loving playing human and loving music, humans have failed him. That’s why he’s stepped away, as far as he is concerned Amarra can clear the world, it’s time to let it all burn, he’s done with it all. He’s bitter and tired and just so thoroughly sick of it all. 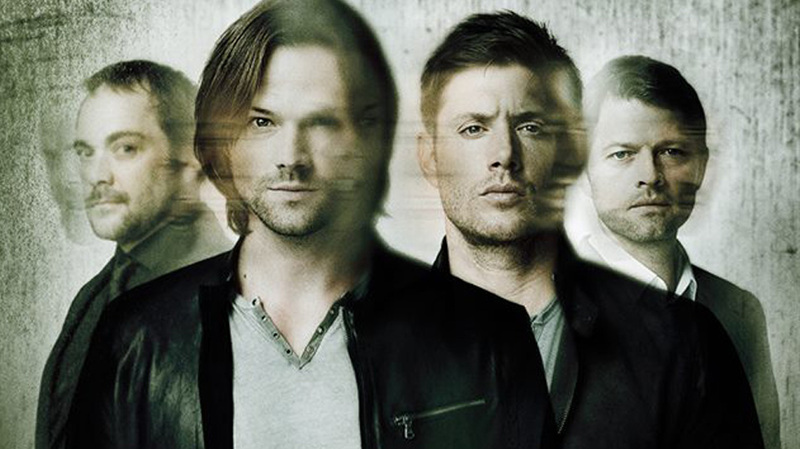 I’m actually kind of amazed this isn’t the season finale. And then silence which ominously implies a lot of death. And all of that pales compared to the look on Metatron’s face. I don’t even know what to call that expression but I’m impressed. Chuck goes to Sam and Dean and says they need to talk.